In the wake of international #PotholeDay, when everyone’s encouraged to support better road maintenance, the Clydebank garage specialising in Audi, BMW and Porsche brands is highlighting the dangers of potholes. Potholes are nothing new. Their name dates back to Roman times when roads were built on a bed of clay, topped with gravel and hard baked bricks. For many local tribes these engineering marvels were a good source of raw material for making pots as they would break open the road surface to get at the clay, causing major problems for passing chariots in the process. Today, most potholes are caused by wear and tear made worse by rain, frost and changes of temperature which cause the surface to expand and contract until it cracks. According to the Institute of Advanced Motoring 80 per cent of motorists believe there are more potholes than three years ago and 47 per cent claim their vehicles have incurred damage after hitting a pothole. 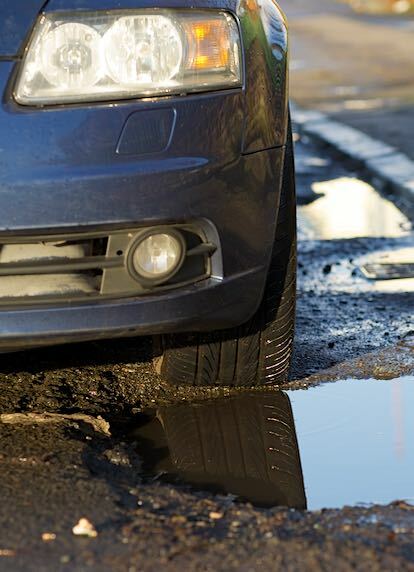 Unfortunately, while potholes have become a major source of annoyance and expense for drivers only a small proportion each year are reported to councils. 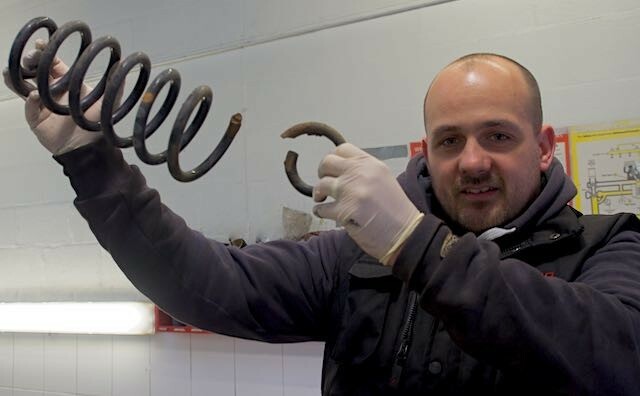 Research carried by the Automobile Association (AA) found more than 18million UK motorists have spotted potholes but failed to tell the local highway authority, thereby putting the lives of other road users at risk and out of pocket. As the law stands, highway authorities must be aware of significant potholes and have taken no action before road users stand any chance of winning a claim for damage. Experts suggest that if more motorists reported potholes instead of treating them as somebody else’s problem the threat of increased compensation claims might force councils to take the matter more seriously.“In addition to being potentially lethal for road users, especially those on two wheels, they are an increasingly expensive problem for motorists,” said Andrew Duthie, Director of A For Audi.